The Social Skills Guidebook is an overview of social skills and social dynamics. Chris MacLeod does a wonderful job in covering much ground when it comes to the baiscs of socialization while also delivering deep value and insights that everyone can learn from. I couldn’t agree more with Chris MacLeod when says that the most charismatic people are not using any special techniques, but they are executing the basics better than most. The Social Skills Guidebook is more aimed towards beginners, very shy or somewhat socially awkward. The author says that everyone is different so it’s not actually possible to give an estimate on “how long it will take to get good socially”. However, he makes a very good point in saying that people should not trust or believe sources which promise instant change. Expecting instant change can have adverse effects on people who don’t see those overnight improvements. They might get frustrated, lose heart and even give up. The author dedicates a whole chapter to the limiting thoughts patterns that people often end up into. 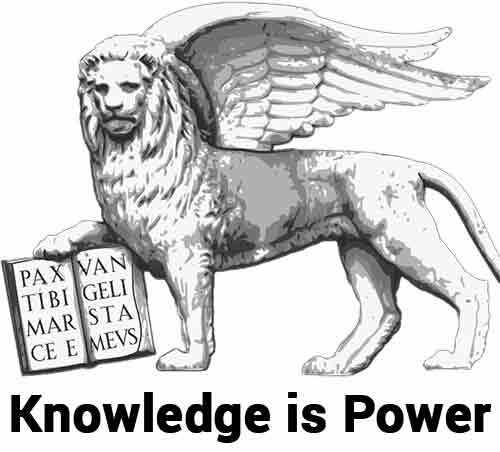 There are many of them, all good and very relevant from a psychological and social-dynamics point of view. Jumping to conclusions often means “jumping to negative conclusions”, with bad self-talk such as “I had a bad conversation, it’s because I am hopeless” or “the group didn’t accept me, I am a real social reject”. On a smaller scale, jumping to conclusions also often leads to misunderstandings when we assign certain intention to actions for which we have actually have no clue. People who fall prey to jumping to conclusions and negative assumptions will filter out all positive stimuli and focus on the ones that reinforce their negative narrative. Chris MacLeod says that people assign “rating difficulties” to social interactions based on how they’re feeling. So if they are feeling anxious or nervous for any reason, they think that social interactions are difficult and/or that they’re not good enough for it. But your emotional states have little to do with reality and/or with the difficulty of social interactions. This is very true and generalizing our emotional states to our interpretation of reality is a well known psychological principle with many interesting ramifications. Catastrophizing means focusing on the worst possible outcome. As unlikely as that outcome might be, focusing on it only increases the chances of it happening.. And it unnecessarily raises our stress levels and social tension. No you’re not, a conversation and a social interaction entails two people minimum, and your speaking partner is as responsible as you are. As a matter of fact, some interactions will always be bad and you will eventually meet some people with whom it’s impossible to have positive interactions. Taking Extreme Ownership of everything that happens to you can be a powerful tool for life. But it needs strong self-esteem and antifragile ego. For people who are not there yet, people with low-esteem or people who still see many more failures than victories, it’s indeed best not to take full ownership. Starting with big challenges you are not comfortable with is the best way to make it too hard on yourself and to increase the chances you won’t see any improvement any time soon and that you will quit. Instead, start small with something you are kind of comfortable with not super comfortable. Only move up with more difficult social challenges once you are 100% comfortable with the level you’re at. First of all, silences happen all the times and they are the sign that people are comfortable with each other and good friends. You don’t need to fill all the conversational gaps. However, there is no denying that silences can also happen with people you are not very familiar with and they can get awkward. If it’s becoming awkward, avoid commenting on it and saying how awkward it is. Or change topic without saying anything. The author says that the suggestion of being unique and avoiding all standard lines is overrated. Instead, it’s OK to have some commonplace statements, comments or topics. And it can be quite awkward when you try to force the super personal question or the “unexpected topic that grabs attention”. I couldn’t agree more and that’s why I downrated social skills products such as Charisma University, Charisma on Command, Captivate and The Art of People. People who hog the conversation and take most or all the speaking times bore people to tears and come across as extremely selfish, self-centered and entitled. It makes people feel like they don’t matter and they will react but excusing themselves (or resenting you if they can’t move). This is a bit more advanced, but if the other person is not contributing much they might need to be made more comfortable. Albeit hogging the conversation is usually not good, this is an exception when doing most of the talking can help draw shier and more reserved people out until they are comfortable contributing more. Should You Share Personal Stories? The recent work on vulnerability by Brene Brown (Daring Greatly etc.) has had some people believe that connecting is all about sharing and that courage is opening up. Yes… When you know someone well and at the right time. Otherwise oversharing too soon is awkward and a big red flag. But, says the author, the virtue is in the middle. Not sharing anything leaves conversation dry and make people feel like you don’t trust them. This is especially true if you are getting to know each other better and if they share something personal first. In the last chapter, Chris MacLeod talks about Asperger’s Syndrome and how it adversely impacts social skills. It’s very enlightening and it made me reflect on whether or not Aspergers are best suited to teach people social skills to non-Aspergers. I already reviewd a social skills product from an author affected by Aspergers. It’s Daniel Wendler’s “Improve Your Social Skills” and I rated it very highly (Wendler’s work is actually more basic and more focused on beginners and people with interpersonal impairements). However, it’s hard to learn all the nuances that you don’t naturally get. and that might make Asperger non-ideal teachers non-Aspergers. At least when it comes to more advanced forms of emotional intelligence and leadership. Chris MacLeod says that a lot of conversational difficulties among beginners arise because they censor themselves too much and they are always wondering “can I say this, should I not say that.. “. But saying something, whatever it is, is often better than saying nothing. It’s easy to think of others as shallow because you have access to your deeper thoughts and feelings while you judge others based on what you see and the superficial conversation that’s going on. That was very deep indeed :). Keep in mind that our self-esteem usually trails our actual current level. Don’t let the impostor syndrome stunt your growth. You might think that a book on the basics might bore a more advanced student. But instead it was a good refresher, I foudn myself nodding most of the times and I even got a few new insights. The Social Skills Guidebook talks about most of the relevant topics of basic social skills. Yet it also manages to be exhaustive enough with each of them to cover most of what makes people effectively function as social animals. The examples are scattered all over and sometimes they are just simple, short sentences. Yet, they work very well to make people understand the more abstract concepts that social and emotional intelligence is made of. The author often starts with the baics, but then add a few exceptions to the rules that will satisfy the more advanced students. That helps the readers bridge gaps of understanding between the general rules and the exceptions (for example in group conversations). It makes a huge difference when he recites the dialgoue examples and adds real value with his vocal variety. High rating for The Social Skills Guidebook. It covers the basics while also delivering lots of value for the more advanced students of social arts (and sciences). 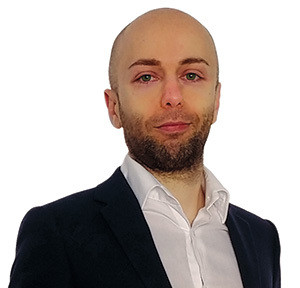 Most importantly, it covers both basics and more advanced with factual and very accurate information, which shows that Chris MacLeod knows what he’s talking about and he’s very well informed. 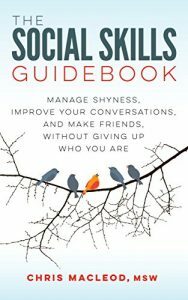 As a matter of fact, The Social Skills Guidebook is one of the best social skills books I have read and a rather underrated book.